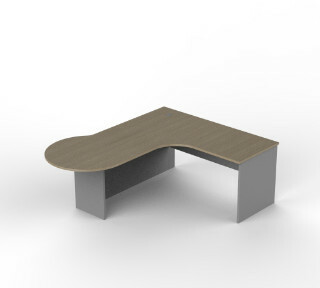 P-End Executive Desk. Features inset legs for positioning next to skirting ducts. Half height modesty panels on both sides.